Despite the decade old quest by businesses all over the world to move to a paperless office, photocopiers (or digital copiers as they are often called) are well and truly an essential player of businesses of any size. The arrival of affordable multifunction printers (MFPs) helped establish photocopying as a defacto standard feature of any office. By combining printing and scanning functionality in one device and slashing the cost of producing printouts using inkjet or laser technologies, MFPs have brought photocopying to the masses. At the same time, they have made significant improvements both in terms of quality, value for money and onboard features. From usage tracking to improve security, auto duplex, mobile and wireless printing or digital touchscreen display, there’s now a flurry of options available on the market, for the occasional print out and mailing all the way to digital agencies. What to consider when buying a photocopier? 1. Can the photocopier your business is considering handle the capacity needed? Photocopiers in the shape of multi-function printer come in all shapes and sizes. Many are aimed at the domestic market. Look closely at the stated capacity and match this to your business' workload. 2. How important is quality of scanning and printing? Many of the latest photocopiers using advanced print technologies that were, up until a short time ago, only found in high-end printers. If possible, look at samples of print and scanned output before making your choice. Many vendors now offer the option of sending samples by post. 3. Is fax capability needed? Fax is far from a dead communications medium, with many large businesses still needing it. Look at the fax capability of the MFP, which today is likely to use the cloud as well as direct dial to another fax machine. 4. Will your company need to manage sensitive information? Access to the features of a photocopier should be controlled with PIN numbers or passwords. Also, ensure that the MFP only prints the required copies to ensure data security. And think about whether the USB port should be disabled to mitigate any risk. 5. Does your business require remote printing? With the rise of BYOD (Bring Your Own Device), printing from mobile devices is fast and efficient. Look closely at the apps that will use the photocopier to ensure these connect securely. An MFP can be a cost-effective asset that a business can build its workflow around. With digital copiers now coming with a number of configurations, it's critical to assess your business' needs and match them to the right one. 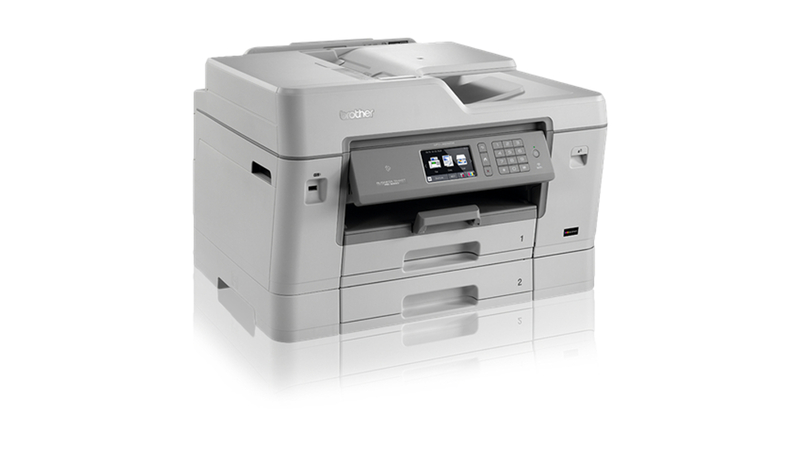 What is the price of a digital copier? The cost of acquiring a printer can be dwarfed by the cost of purchasing the consumables – the toner or ink, but also the paper, the drum, transfer/fuser kit – and the cost of the warranty plans or after sale services. And because you are likely to have one copier embedded within a group in an office or in a business, downtime can prove costly and counterproductive. Enlisting the help of a managed print service provider (MPS) can simplify the technicalities associated with operating a copier, especially in bigger businesses, as they take care of the lifecycle of the printer including its disposal at the end of life. Like a car lease, you will usually not own the printer after the lease ends (up to five years) and can usually pay a fixed fee for the printer plus an agreed cost per page. Below are the top 5 digital copiers that target small and midsized businesses and generally enterprises below 1,000 employees based on the manufacturer specifications sheet and the suggested retail price at the time of writing. At $275 (£210), the HP OfficeJet Pro 8730 Wireless All-in-One Printer is the most expensive printer that offers Instant Ink. The latter is a subscription plan that simplifies copying to its extreme: you only have to worry about the number of pages that you print. At just over 2.2p per colour page (up to 300 pages, 3.3p afterwards), it is an extremely competitive offer, especially bearing in mind that the inks are delivered straight to your office and you can roll over unused pages to the next month if needed. Oh and the cost per page is fixed regardless of whether you print in full colour or just text. The 8730 comes with a free 3-year Care Pack support package which allows users to swap the printer onsite, next business day, thereby minimising downtime. You also get access to HP’s free JetAdvantage Private Print service that let you print sensitive documents to shared printers without security worries and reduce waste from accidental and forgotten print jobs. While it does offer faxing, NFC tap-to-print, a 50-page automatic document feeder and automatic duplex as standard, the fact that it has a monthly recommended page volume of up to 2,000 sheets and a 250-sheet input tray (upgradable to 500) means that it is suitable for very small workgroups. Xerox is the only vendor that offers a lifetime printer warranty on its printer products; however, there’s a big string attached to it (or a rope). You need to purchase a full set of toner (otherwise known as a rainbow pack) every year and the cost of the pack varies from around £500 for the 2,500 page kit to nearly £1,000 for the 8,000 page capacity. Still, at less than £700, the Xerox Versalink C405DNW is a perfect example of how far laser printers have moved on since the days when only big businesses could afford to buy them. 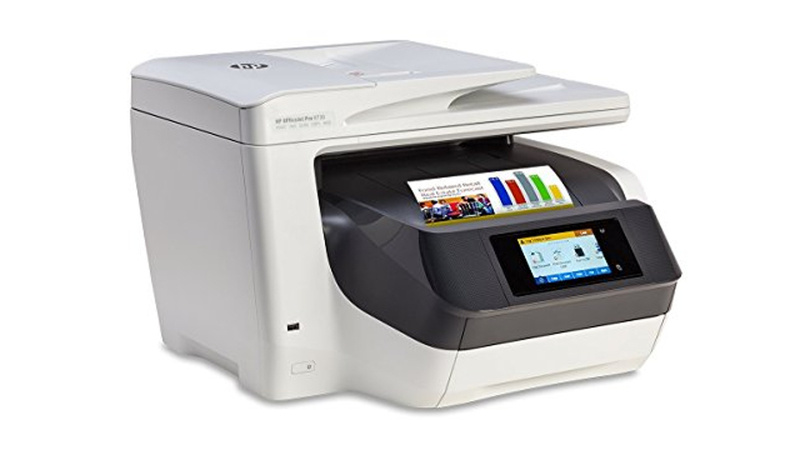 This is a colour laser printer that doubles as a fast copier (up to a staggering 36 copies per minutes, with the first one out in just 11 seconds); it has NFC, wired Gigabit Ethernet, Wi-Fi and even USB 3.0 connectivity with auto duplex and automatic document feeder. You will be able to shoved a whole A4 paper ream in its input tray and its 5-inch touchscreen will allow users to intuitively install select Xerox “apps” like the Earth Smart Driver, the Easy Translator or the Secure Print to improve productivity. Note that the monthty duty cycle (the maximum number of prints per month) stands at a staggering 80,000 “images”, which is equivalent to two hours continuous printing per day and a whopping 160 paper reams. Ouch! A3 copying is a niche business market and the Brother MFC-J6935DW appears, at least on paper, to have a great potential to cater for it. As part of Brother’s latest INKvestment range, it can copy at up to 12 images per minute in mono and nine in colour (remember, these are for A3 sheets) and offers automatic double sided printing, copying, faxing and scanning as well. There’s a small 9.3-cm touch screen that offers basic features plus USB, NFC, network and wireless connectivity to service a wide variety of devices. There are three paper input trays that can handle a total of 600 sheets (note that not all are A3 though) and the recommended maximum print volume is 2,000 pages a month, enough for most small businesses. While the printer comes with a one year warranty, you will be able to double by purchasing a support pack as well. As for the print cartridges, they are fairly reasonable with a high capacity set selling for just over $131 (£100). Just bear in mind thought that this is a sizable beast with a footprint larger than an A2 sheet. All in all, a very capable workhorse business copier that retails for less than $314 (£240). Most of the printers on in this guide use ink technology and this PageWide Pro printer perhaps illustrates the best why ink is a better option than laser in a fair few cases. The HP PageWide Pro 772dn A3 Colour Multifunction copier delivers the sort of performance and features that, until recently, was beyond the realm of what ordinary inkjet printers could achieve. HP’s PageWide technology essentially mimics a laser toner, with an ultrawide ink cartridge that prints along the width of a page (hence the name). It translates into ultra high printing speeds (up to 55 pages a minute) with scanning speeds of up to 50 images per minute which is almost unheard of in the price bracket where the 772dn is competing (sub -$2600 (£2000)). On top of that, it has some serious paper handling capabilities with a maximum input capacity of more than 5,000 sheets. 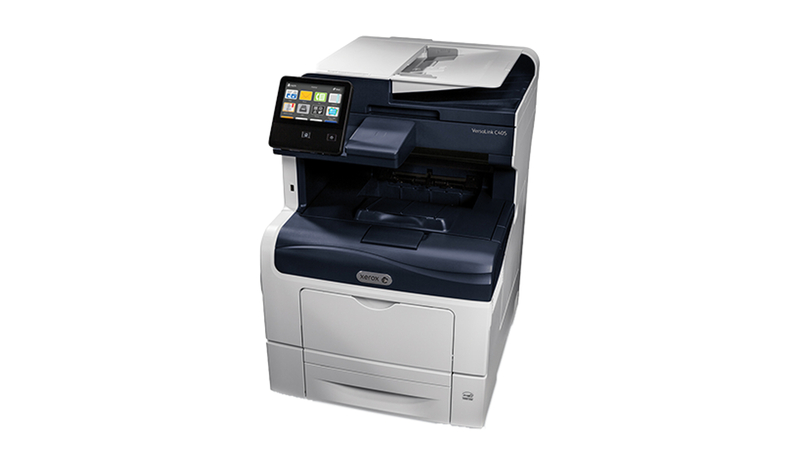 Its ability to print on up to A3+ media at up to 2400 x 1200 dpi resolution is backed by business-friendly features like faxing (remember that? 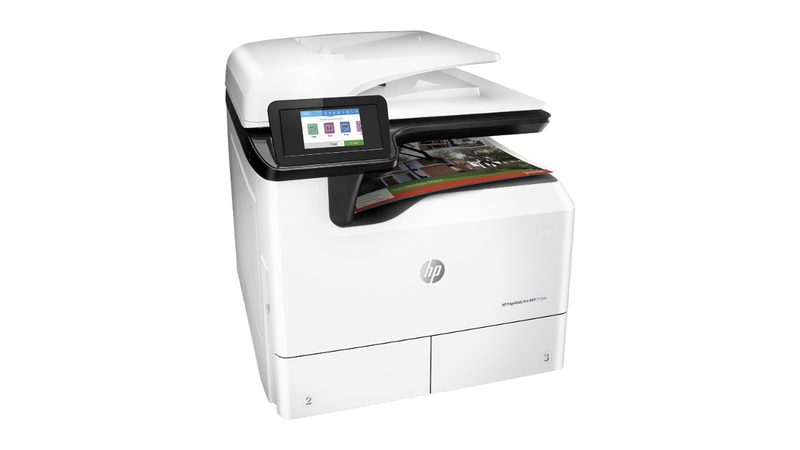 ), enhanced security capabilities (thanks to HP Print Security) and extensive wired and wireless capabilities. High yield cartridges (with 187 ml of ink) that can delivery about 16,000 pages are available although a full 4-colour kit will set you back a whopping $1310 (£1,000). Epson is another printer vendor that is trying new things to change the way you buy consumables. While HP’s take is similar to boxes being shipped over to you, Epson takes a more radical approach by essentially selling the ink wholesale in “big” bottles. A 6,500 page kit (0.35L of ink) will cost you just over $52.37 (£40), a fraction of what the competition charges but you will need to refill the ink yourself which comes with its pros and cons: there are no ink cartridges per se. 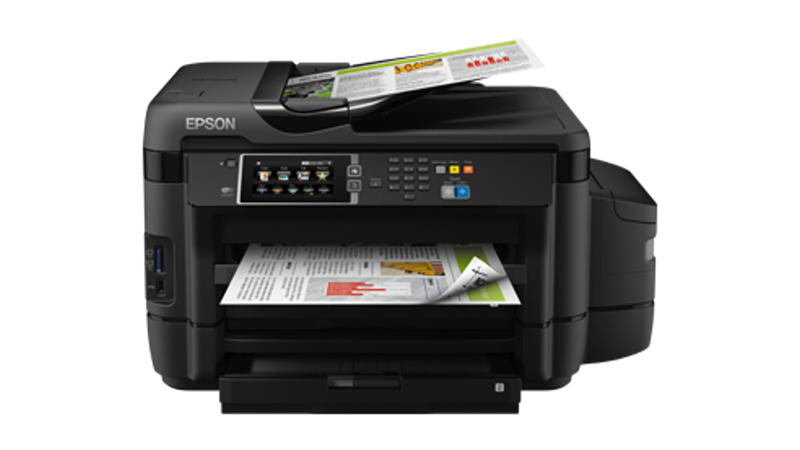 The ET-16500 is Epson’s top of the range Ecotank printer and while it has a higher MRSP at $1,178 (£900), it does come with enough ink to print 10,500 pages in black and 11,300 pages in colour, offering a print price that is one of the lowest if not the lowest on the market. In addition, its large ink tanks mean that you won’t need to refill inks often. And its A3+ paper handling capabilities adds flexibility to your business printing needs, be it simple printing, scanning, copying or faxing. There’s a 500-sheet capacity tray combined with a 35-page auto document feeder and double-sided printing. As expected, there’s a whole bevy of mobile printing and connectivity options available including Wi-Fi and Wi-Fi Direct, Ethernet and a card reader.